Read This Next Line Carefully About Citation Websites! 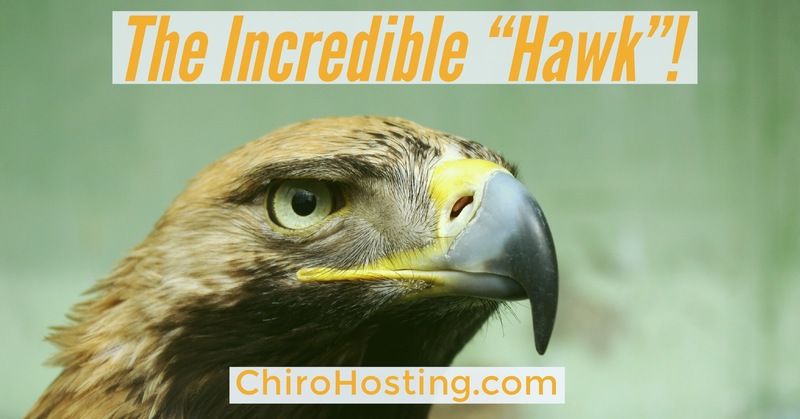 Having your chiropractic business listed on citation sites is a core component of any good online marketing and SEO strategy. BUT, it's important to understand that you may not need to go through the following list of local citation websites and pay for every—or any— of the paid directory listings! Finding the right mix of citation listings will vary from practice to practice based on location, competition, and more. You can certainly set up a 1-on-1 call with us to discuss what could be right for you. We're happy to simply offer you our professional suggestions. Citations are mentions of your business name, address and phone number (NAP) in an online directory. Even if there is not a direct link to your website. These citations act as your unique business digital fingerprint. This makes it possible for search engines such as Google, Bing, and Yahoo to find you. Why Do I Need Citations? Citations become your online calling card. 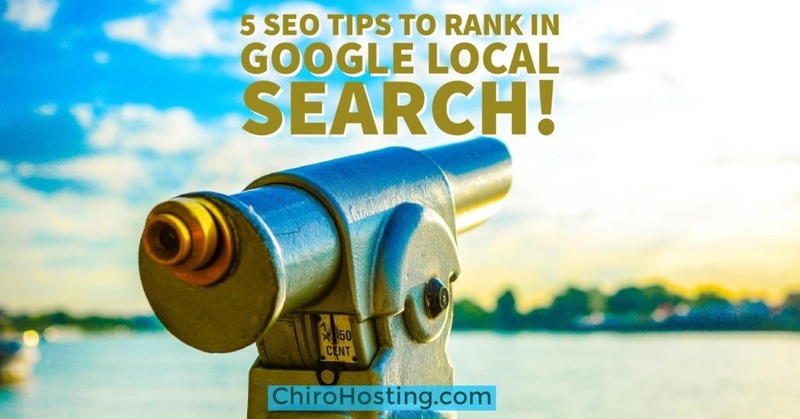 If Google, Bing, and Yahoo are finding you easily...that is because someone is looking for a chiropractor in your local area. It would be great if the practice they find is yours. 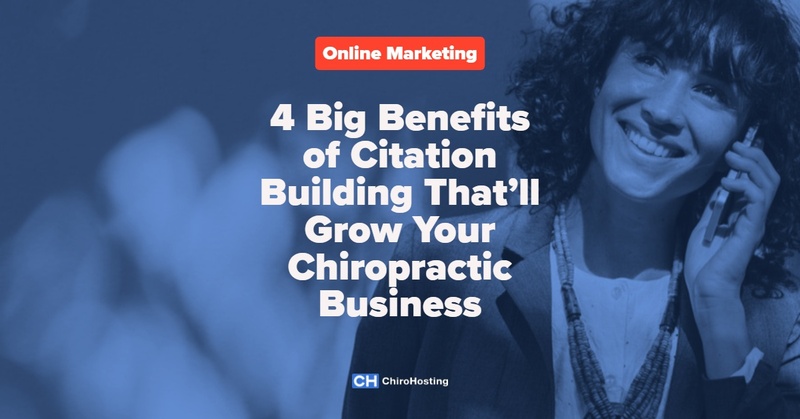 In short, citations are a powerful way for you to attract more patients to your chiropractic practice. What Do I Need to Keep in Mind When Setting up Citations? Keep all of your Name/Address/Phone (NAP) listings consistent. 100% consistent. NAP Discrepancies are one of the top 2 reasons businesses suffer in their local search rankings. Practices with more citations will usually rank higher than those with fewer citations. More exposure to more online eyes = more patients. The more 5 star reviews you are able to generate on these listings the higher you will rank in local search. Remember where you have listed your business and check back regularly to check reviews and to make sure things are up to date. Algorithms (Google's especially) change constantly, making staying on top of SEO trends overwhelming for many. 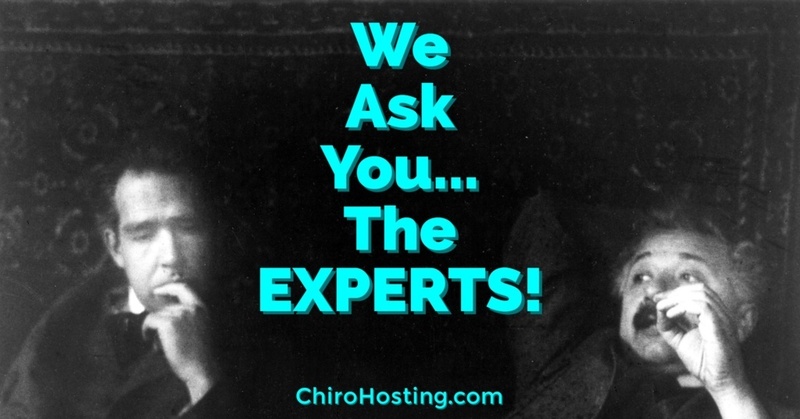 You can always touch base with us to ask questions about what you should do regarding citations and other components of an online marketing strategy that are critical to any chiropractor. Every few years our friends at BrightLocal put out a comprehensive list of the Top Local Citations specific to various business categories. The last one that came out was in 2014...the list of 2019 was released a few days ago! Please find that comprehensive list below coupled with a few notes on each site including whether or not it's free. WellnessDiscover.com is a free directory focused specifically on chiropractors and other natural health care providers. ZocDoc.com is a paid directory. A highlight is that it allows you a nice way to handle online scheduling. They pride themselves on helping doctors attract new patients and reduce no-shows. Wellness.com is a paid directory. You will need to claim your practice if it’s already listed or set up a new profile. Wellness boasts over 3 Million visitors per month looking for local health care providers. Chirodirectory.com is a free service considered The National Directory of Chiropractic. Simply go to their site and Update or Add your listing to the directory. Doctor.com is a paid service. They consider themselves “one platform for every site that matters”. 123chiropractors.com is a paid directory. It is $39.95 per month to have your listing included. Localchiros.com is a free service. They pride themselves on offering an updated technology platform to help chiropractors be found online in their local areas. 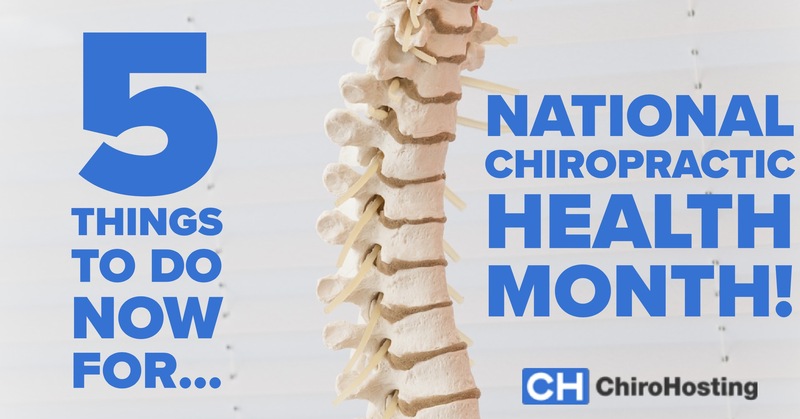 Chiropractortoday.com is a free directory. It is very barebones, but it certainly can only help to have your practice listed for free. 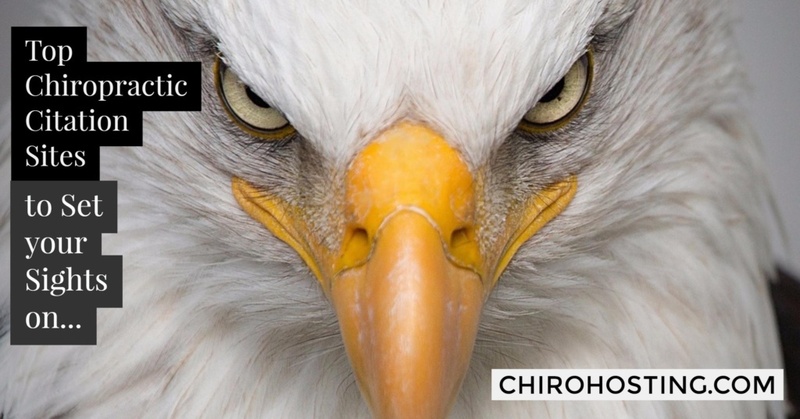 USA-chiropractor.com will list your practice for a 1-time fee of $19.95. They call themselves, “a quality US portal entirely aimed at chiropractors”. Chiro-search.com is a “reciprocal” directory. The way in which you can get listed for “free” is by either adding a bit of code to your site. This provides them with backlinks. Or you can write them an article relevant to your area of expertise. This provides them with original content for their site. In short, you are helping them to increase their traffic and in theory, they are doing the same for you. Discoverchiropractors.com is free for the basic service and then goes up to either $10 or $25 p/month. They consider themselves, “The Largest Chiropractic Directory” and encourage people to “search for the perfect chiropractor”. Ilovechiropractor.com is a free directory. Their aim is to, “provide a platform for business owners present and promote their services, and help people in the United States find, browse, review and recommend Chiropractors.” It is also run by a group of young people in New Jersey...so it’s nice that they are encouraging technology and entrepreneurship for younger generations. Findachiropractor.com asks for a one-time $10 fee for a basic listing. This is a very basic and bare-bones directory based in Boulder, CO.
Chiroscope.com is a free directory. They have a nice interface and offer multiple categories and open text boxes to describe your practice in details. Chiropractorsdir.com requests an annual fee of $19.97 to be listed. There is very little detail about the listings. However, the data you will be asked to enter is you company URL, title, description, location, and phone number for your listing. 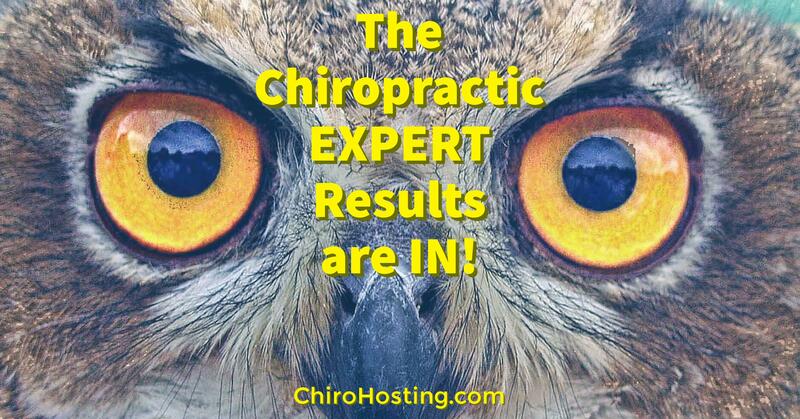 What Chiropractic Citation Websites Are Right for My Practice? As mentioned above, there is no reason you should pay to be on all of these directories. Due to your location, your local competition the size of your practice, specific practice focus, and many other factors different citations will be right for one practice and completely different for another. We know you’re are busy and a lot of SEO strategy can be overwhelming and very time-consuming. Whether you don’t have the time or don’t know where to start this CAN get accomplished. Please set up a 1-on-1 to speak to us about your marketing goals. We can point you in the direction to DIY, or help you with building some or all of your citations. 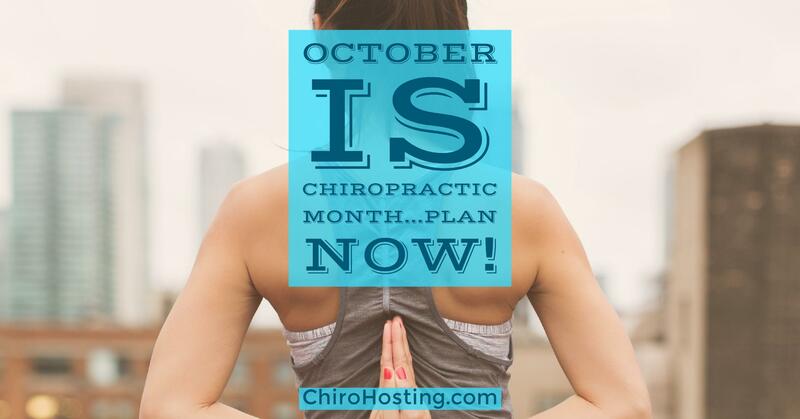 When you sign-up for one of our results-driven Chiropractic Online Marketing Plans, your dedicated account manager will help you identify, clean up, and establish important citations. 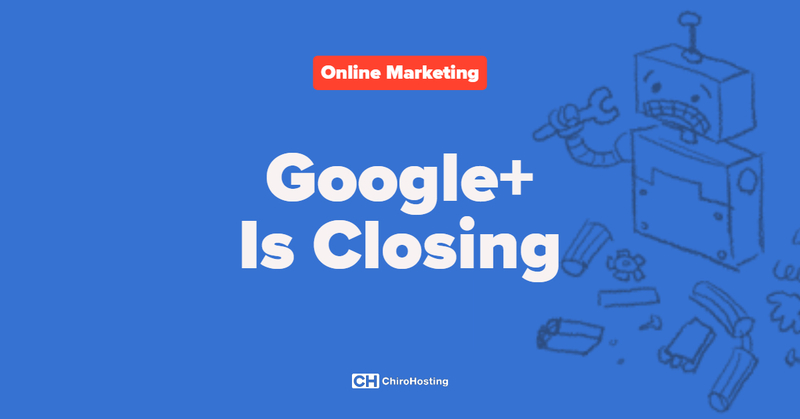 It makes a tremendous difference to work directly with an SEO expert—at any level of our Chiropractic Online Marketing Plans. We are NOT a sales organization. We are happy to answer your questions and point you in the right direction to meet and exceed your goals in bringing in new chiropractic patients! 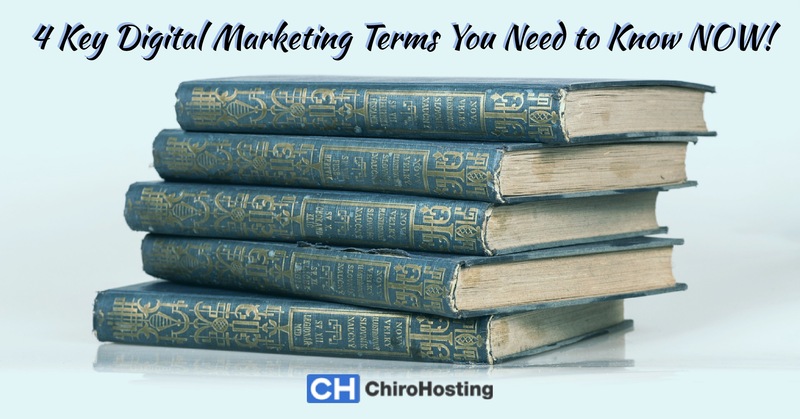 4 Key Chiropractic Marketing Terms You Need to Know NOW to Bump Your Local Search Ranking! Don't Throw Around Buzz Words...Put Them to Work! 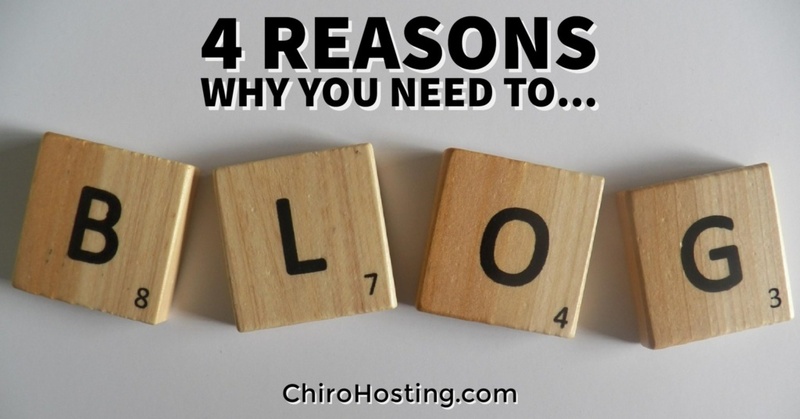 4 Reasons You Need HTTPS for Your Chiropractic Website...ASAP! Learn What Is HTTPS & Why You Need It Now! 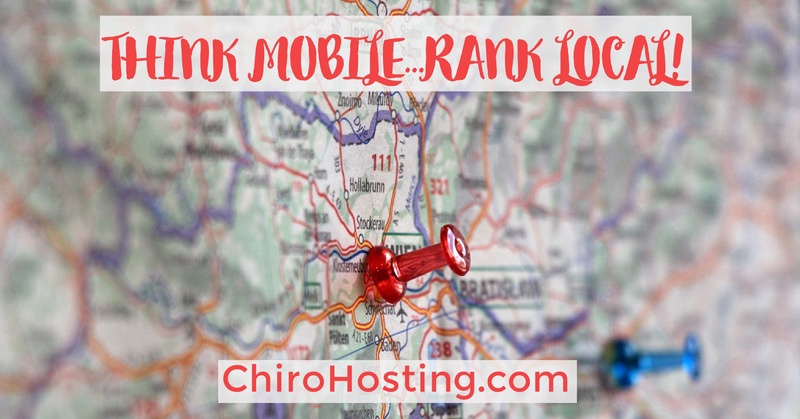 Think MOBILE...Rank LOCAL...with Google! HYPERLOCAL! Chiropractic "Word of the Week" is HYPERLOCAL! 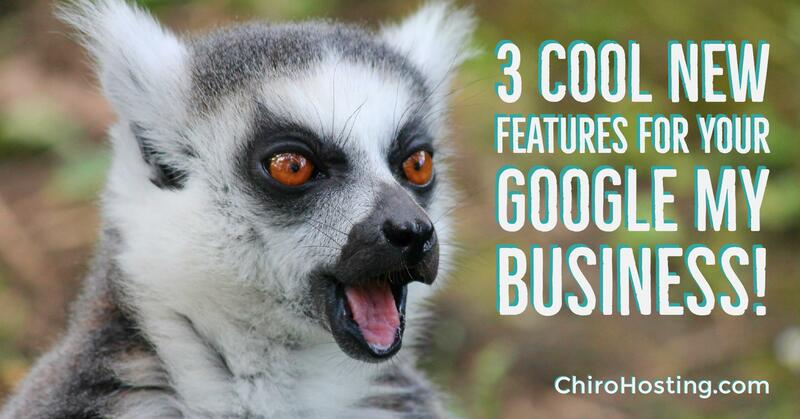 3 Cool New Features for your Chiropractic Google My Business! You NEED to be in the KNOW! The Eclipse Eclipsed...but Chiropractic Month is on the Horizon! START PLANNING NOW! 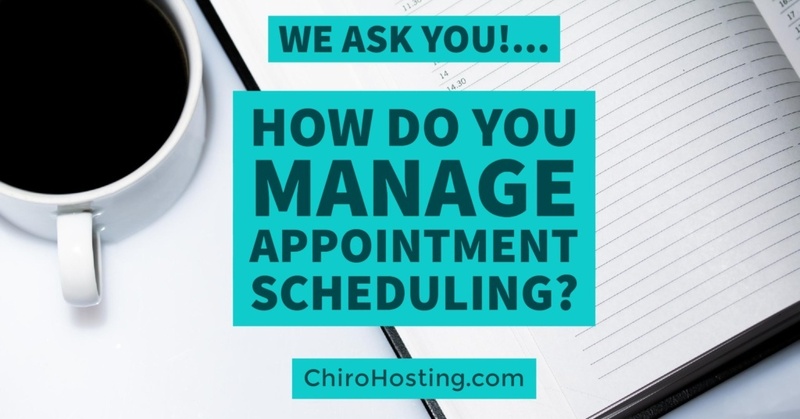 We Ask You... How Do You Manage Chiropractic Appointment Scheduling? Share Your "Pro Tips"! Share Your Success Stories in this Survey! This is AWESOME! 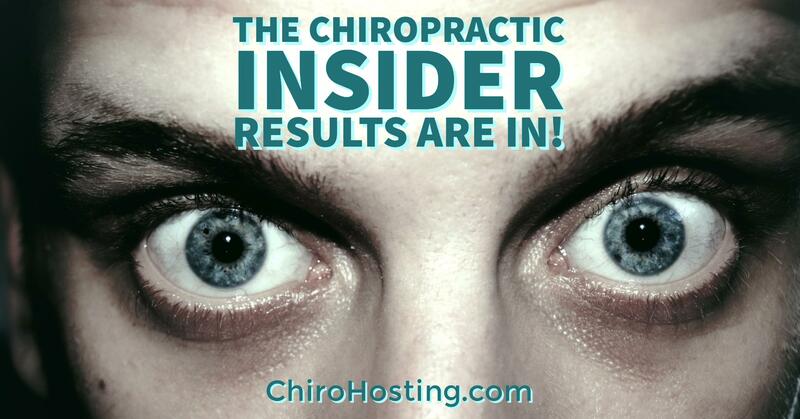 Thanks for Your Chiropractic INSIDER Insights!